VICTORIA Park Athletics Arena development plans to create state-of-the-art facilities are well underway with the opening of the newly refurbished track. 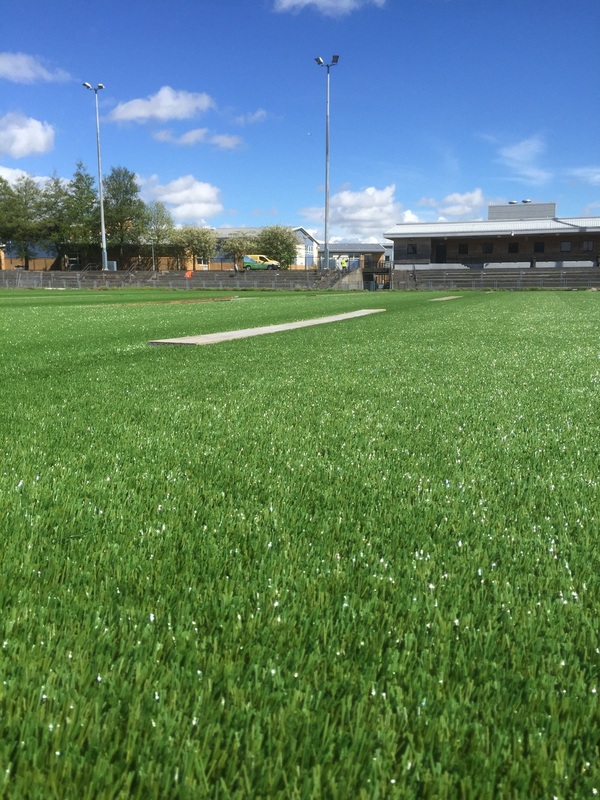 Sports Labs led the project for Warrington Borough Council in preparing a specification for the works, tendering and project managing the works. The contract was won by Thornton Sports who were appointed to refurbish the track. The original track surface was laid with cinders before being upgraded to a polymeric surface in the early 1980s. The polymeric track was last refurbished in 2001 so was now in need of a full depth replacement. The new polymeric track is blue and there is a dual use rugby and football pitch in the centre featuring a new drainage system. As part of the works the hammer and discus cage has been relocated in the central area and the pole vault was moved next to the long jump on the outside of the running track. Warrington Athletics Club will use the track as their home venue and stage North West regional open track and field athletics meetings during the open season. As the first multi sport facility of its kind in the town, the arena can accommodate competitions from junior to senior elite level, and is fully accessible for disabled users. “The enthusiasm of the club towards this project shows how much this facility means to them and will attract regional events, which is good for the sport and the town." This project is part of the council’s ongoing investment into the park and there is more investment and improvements still to come during the next few years.